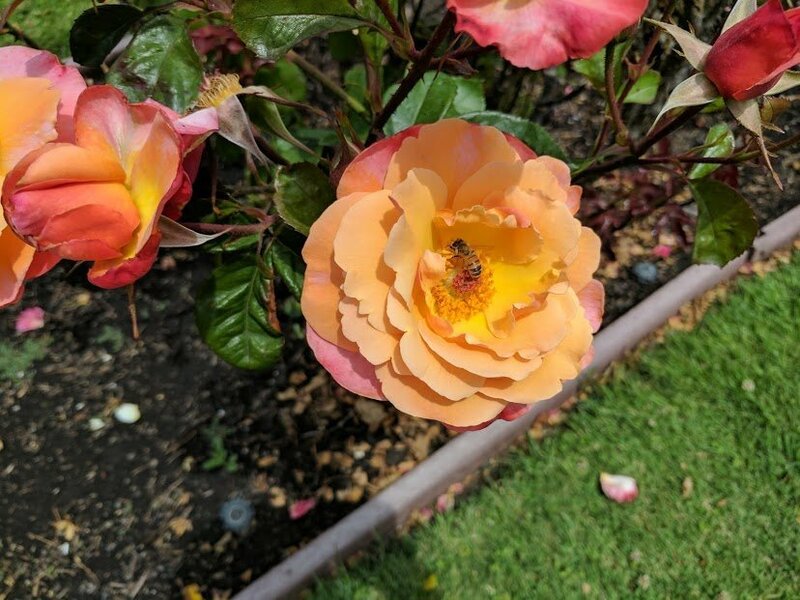 Usually I’m the one dragging Mr M away from the comforts of home on some trip or adventure, but he surprised me the other day by planning a day in San Jose. I’ll make a trip planner out of him yet! There’s nothing like not having to be responsible for the why-to’s and wherefores of a day out. You get to relax and let someone else take the reins. So we found ourselves on the outskirts of San Jose one sunny Saturday morning, ready to explore the city we live in. 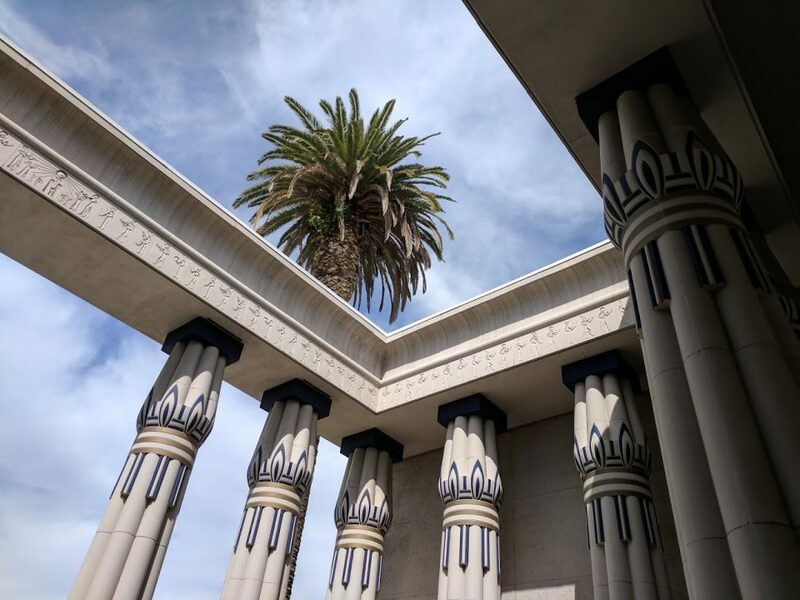 We kicked off proceedings at San Jose’s Rosicrucian Egyptian Museum, which is impossible to miss as you’re driving past. The building is inspired by the Temple of Amun at Karnak in Egypt, which satisfied my inner-Egyptian history nerd quite nicely. 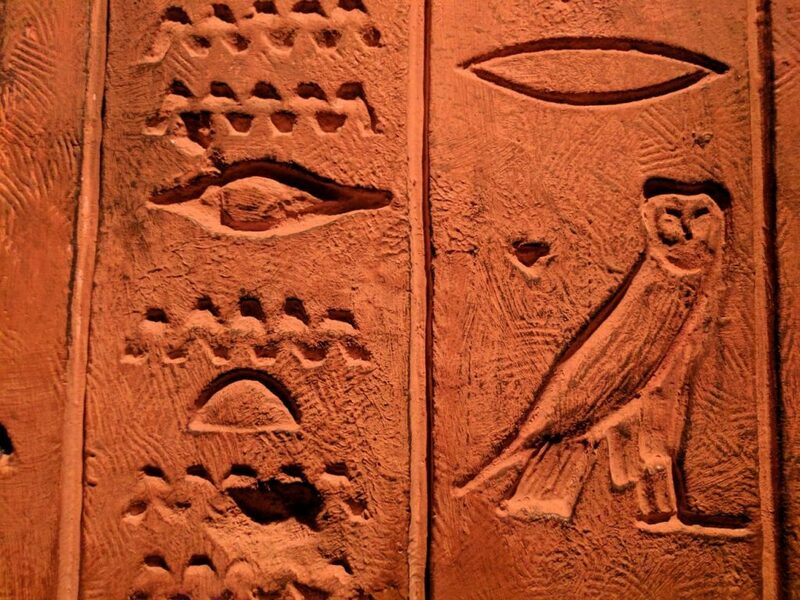 The museum is a second home to the largest collection of Egyptian artifacts (on display) on the west coast. 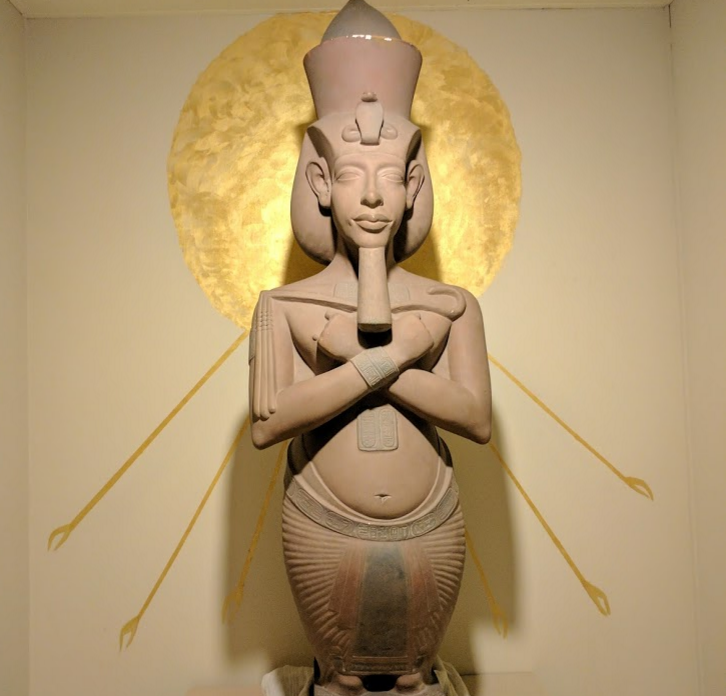 It all began with one small statue of Sekhmet, the lion goddess, sitting on the desk of the founder of the Rosicrucian Order, Harvey Spencer Lewis. You can find out more about the order here. The Rosicrucians supported excavations at Tell el-Armana in the 1920s and were gifted artifacts from the dig. The rest is history. 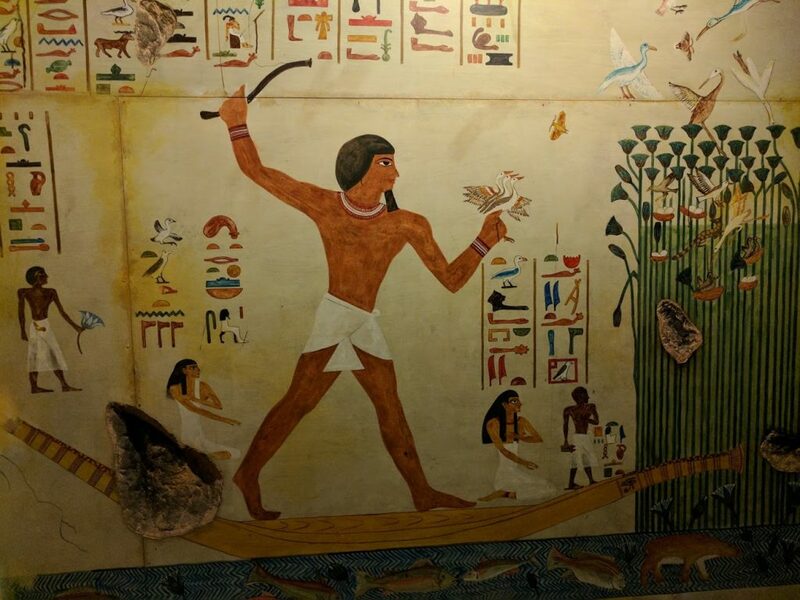 Catering to both children and adults, the museum features a replica Egyptian tomb, with chambers to walk through and admire. It is based on tombs found in Beni Hasan and includes elements of Middle and New Kingdom Egyptian burial practices. 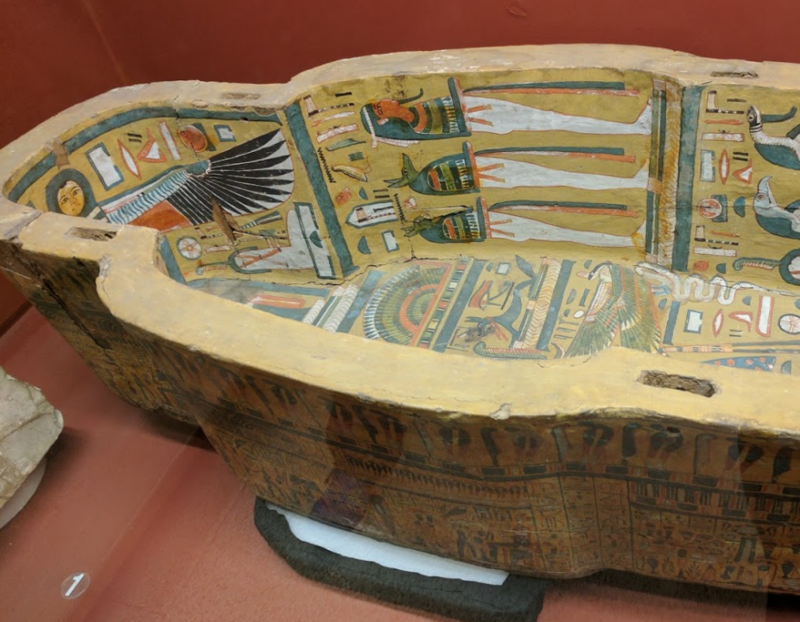 The collection of artifacts is truly impressive, ranging from intricately-carved and brightly-coloured sarcophagi to tiny shabti (carved statues of servants for the afterlife), jewelry, obelisks and even mummies. 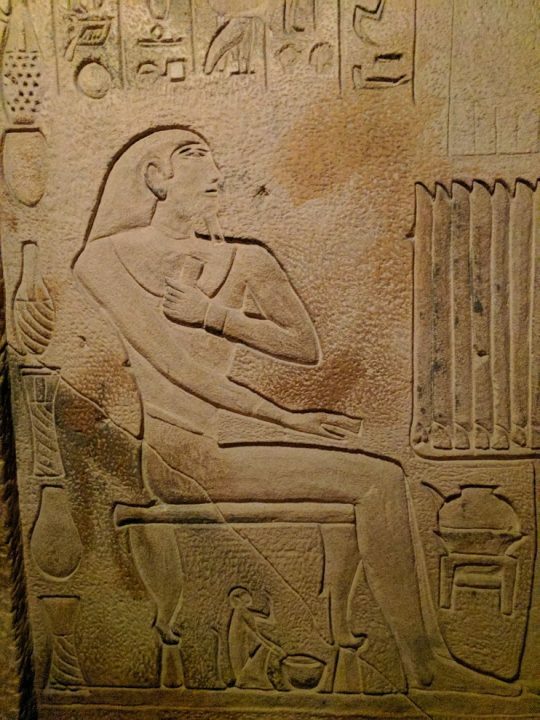 But the jackpot for me were the treasures from Tell el-Armana, a city built by Amenhotep IV after he changed his name to Akhenaten and began a religion based on himself as the sun god. Check out the chompers on this guy! 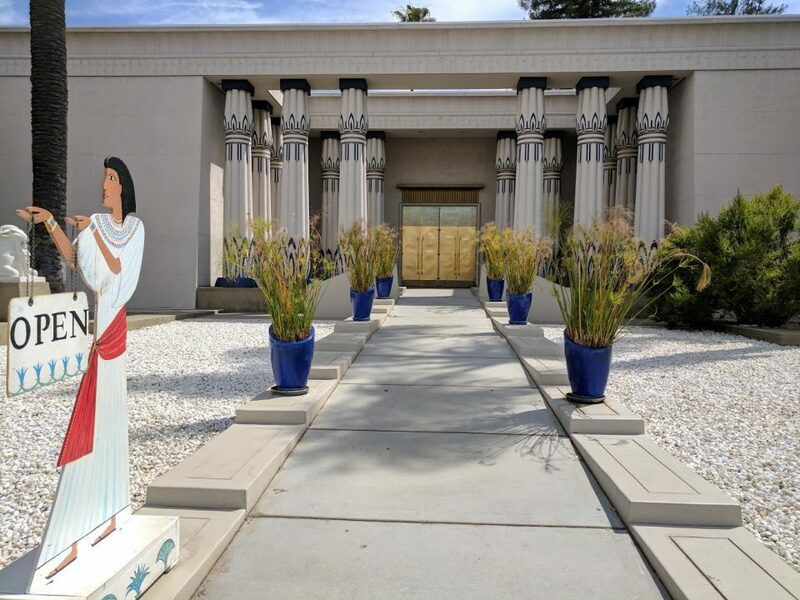 But enough wide-eyed admiration, the San Jose Rosicrucian Egyptian Museum is a great day out. For more information, opening hours and prices, visit their website. Note: The museum also boasts a planetarium (where you can watch the next solar eclipse at 10:15AM on August 15, or check out their space films every day) which is a great way to introduce kids to space. There’s also a park nearby for picnics and doing some running around. 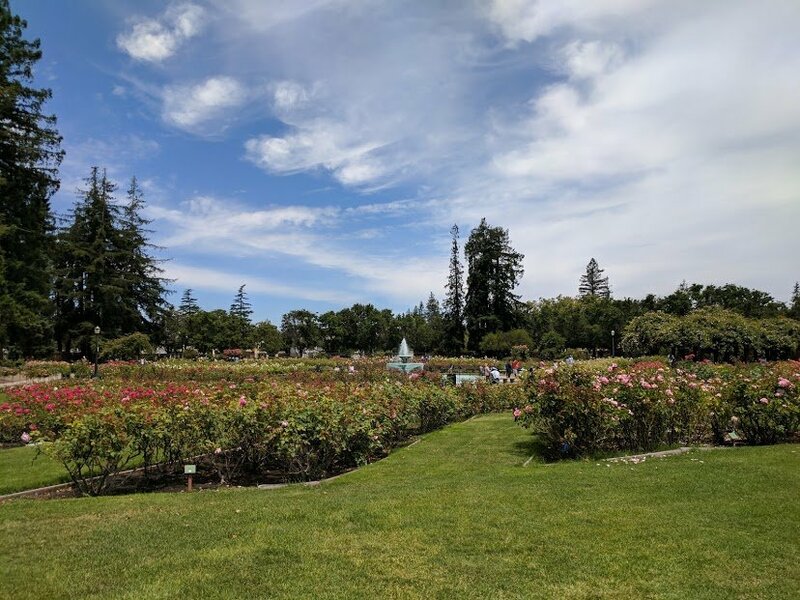 After a morning cooped up indoors you’ll want to bask in the sunshine for a bit, and the San Jose Municipal Rose Garden is just a short walk away. 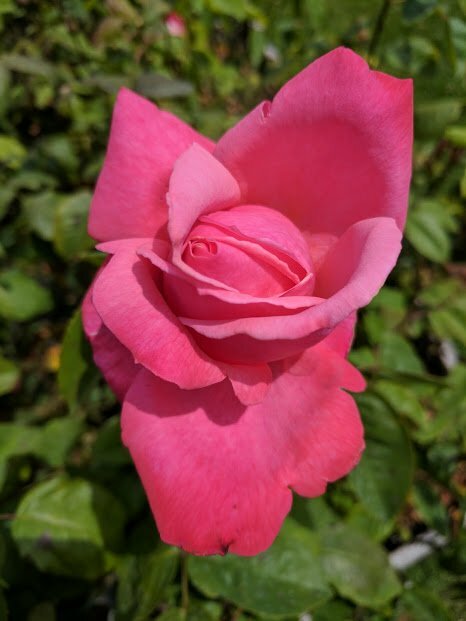 It might not be the perfect spot for the melissophobes out amongst you but the rows upon rows of rose bushes are quite a sight when they’re blooming. They reminded me of a garden fit for the Queen of Hearts. There’d be no painting the roses red, in any case. 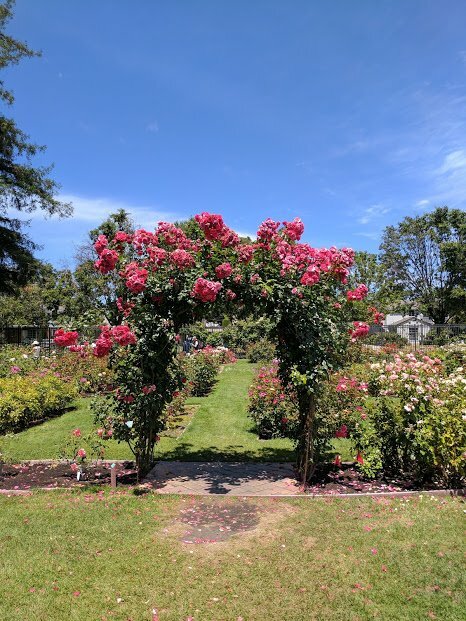 The 5.5 acre garden features 4,000 rose shrubs of 189 varieties, which are labelled along the beds. It’s flanked by a large open space perfect for playing a friendly game of soccer, football, cricket or lazing about for a picnic. 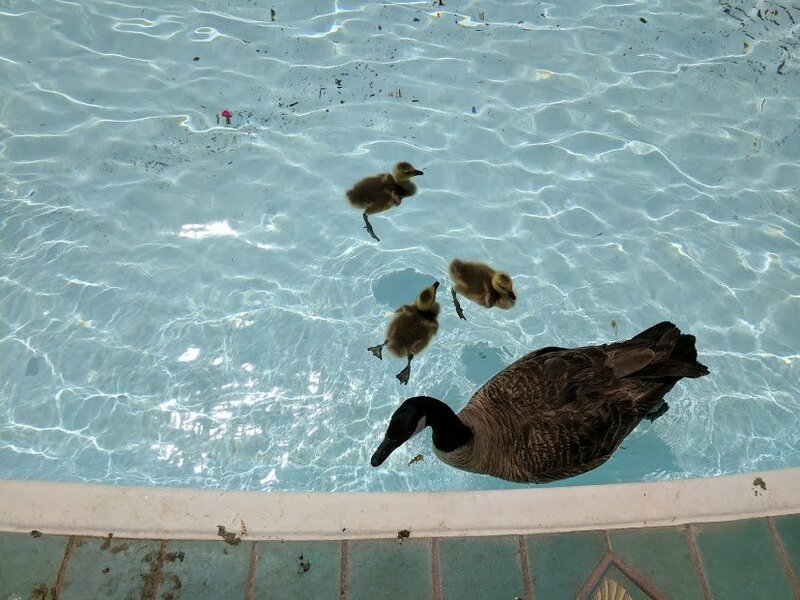 If you’re as lucky as we were, you’ll spot a few geese and their goslings going for a swim in the fountain. The rose garden is also a great spot for couples or family photos and there were lots of families dressed to the nines taking photos for family albums. We didn’t take the picnic option though. Instead, we visited a Korean BBQ joint and ate more meat than should be humanely consumed in one sitting. I had to be rolled home. All in all a successful day. 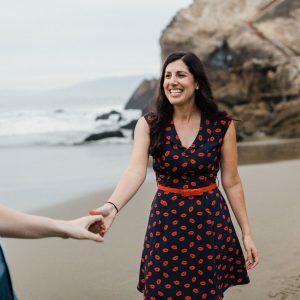 So please don’t discount San Jose in favour of the more popular city of San Francisco – there are tonnes of things to see and do that will rival the City by the Bay. Fascinating! The Egyptian museum was a revealation! It took me back to year 12 ancient history! I had a blast. Honestly, this sounds like my idea of a perfect day out! I am a history nerd so would have loved that museum (so cool to see all those original artifacts), I also really like gardens, geese swimming in fountains, and who doesn’t want to eat their own body weight in barbecued meat!? Good on Mr M for planning such a fab day. I’m such a history nerd! People sometimes look at my itineraries and turn their noses up because of that I think. But it’s interesting to me. Hahaha the parents of the goslings were not happy with me, they were squawking at me like nobody’s business! That’s so awesome that your guy planned a trip and that you were able to go along for the ride! That museum looks so awesome, and I’m always a huge fan of rose gardens. They’re so beautiful! I loved every second of it! There’s something about not having to be responsible for someone else’s fun. Yep, me too! 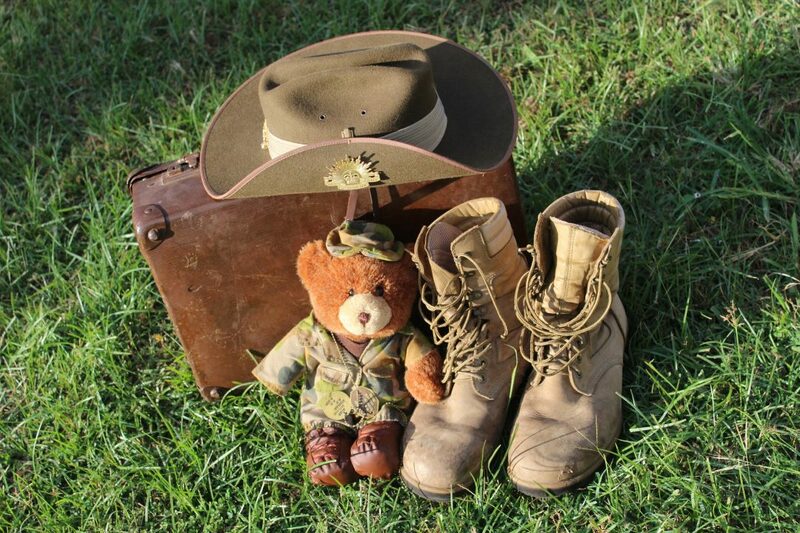 Just because we love travelling doesn’t mean we don’t want someone else to help out with the planning every now and then. IKR? It’s this beautiful suburban area, and then *BAM* Egyptian Museum. It is pretty tranquil though, which is nice. I have never been to San Jose (even though I have been really close). I know I have to stop by the Egyptian Museum one day. I am fascinated with the culture and my little obsession grew when I visited the country several year ago. Like how your husband is turning into a planner (I still have tons of work to do with mine). Whoah, that museum looks fabulous!! I have a thing for museums or exhibits about anything Egyptian really, it’s just so fascinating!! Good job on your husband, organising a nice day out. Very miffed you didn’t share any of the Korean BBQ though… ’cause that’s another obsession of mine, haha! Hahaha, I’m having an affect on him. Slowly. I’m glad that I’m not the only museum-lover. I feel like people are getting less interested in them, but they’re such a great experience. 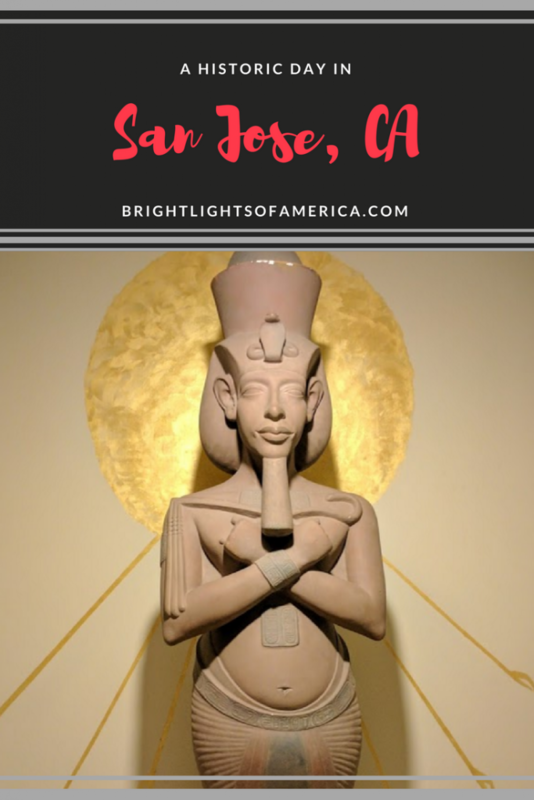 Egyptian history is so fascinating – I will never tire of learning about it; and how cool and random that San Jose has an Egyptian Museum. 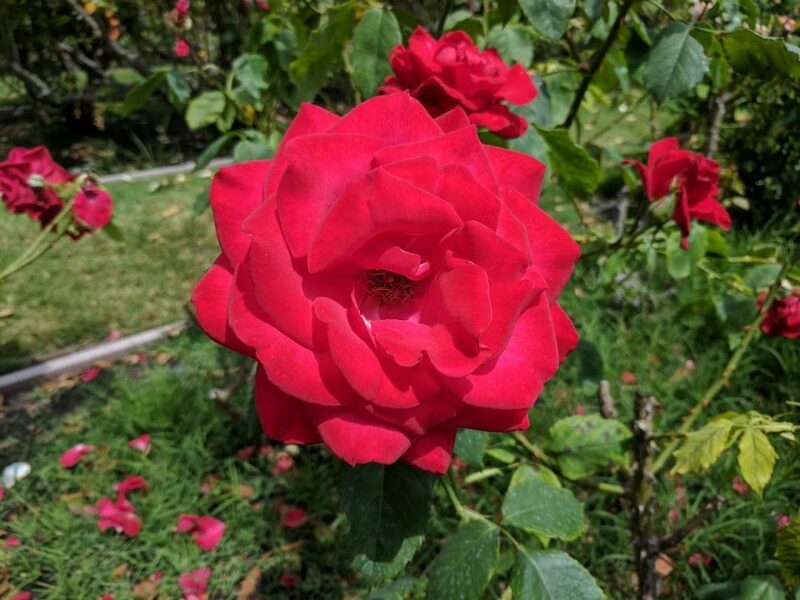 The rose garden sounds like a perfect way to enjoy the nice sunny day and balance out your indoor time. Great choice! 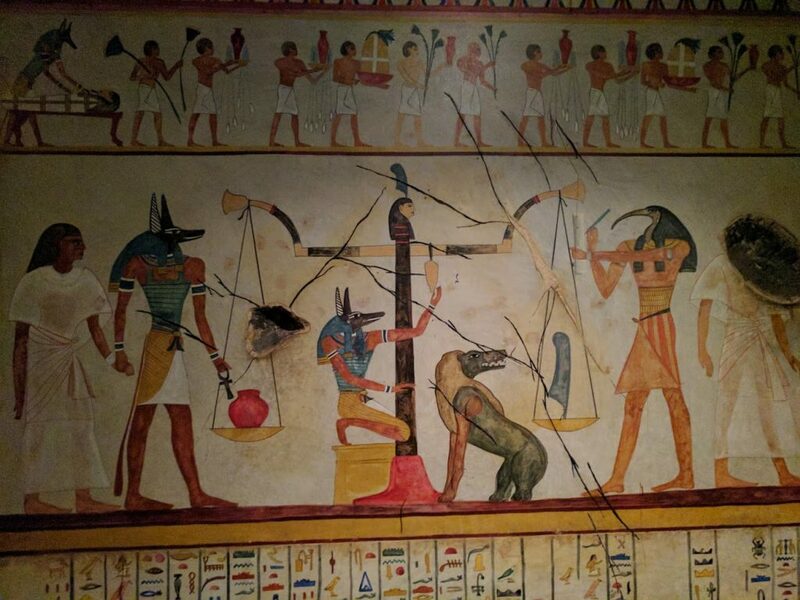 Egyptian museums are the only places where I feel like I’m going in with some knowledge that I can add to. In other museums I feel like I’m constantly learning from scratch. Thanks for visiting! Yep, I agree. When we were kids my dad would take us to the Sydney Art Gallery and the Australian Museum in the school holidays. They were good but could get a little boring at times. Finding these museums where you actually get to be involved is really great. This looks so amazing!! The Egyptian Museum looks stellar!! I would love to check it out. Also think its neat they have a planetarium. Haven’t been to one in so long!! I can’t remember the last time I was in a planetarium. I’ll have to go back to check it out, I don’t think it was open when we visited. That Egyptian museum is so cool! 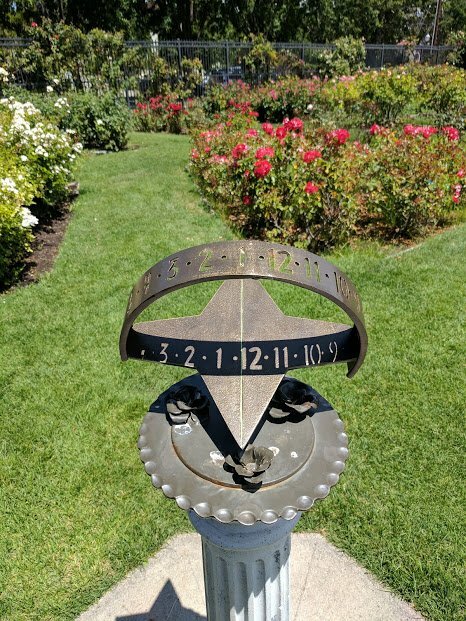 I’ll have to check it out the next time I’m in CA! It is so much fun. Especially walking through the burial chamber! You got some great options for San Jose. I remember going years ago and didn’t do much there. I will keep these in mind for the next time I go back! 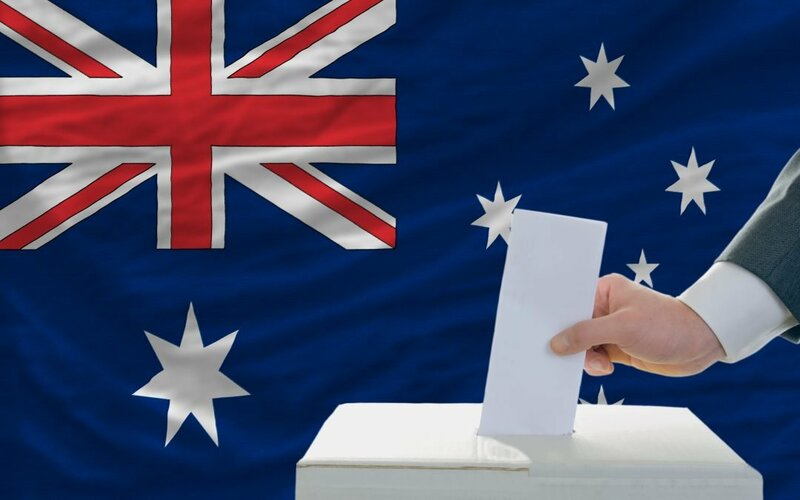 There are heaps of great places to see and things to do there now. Stay tuned for more San Jose posts! 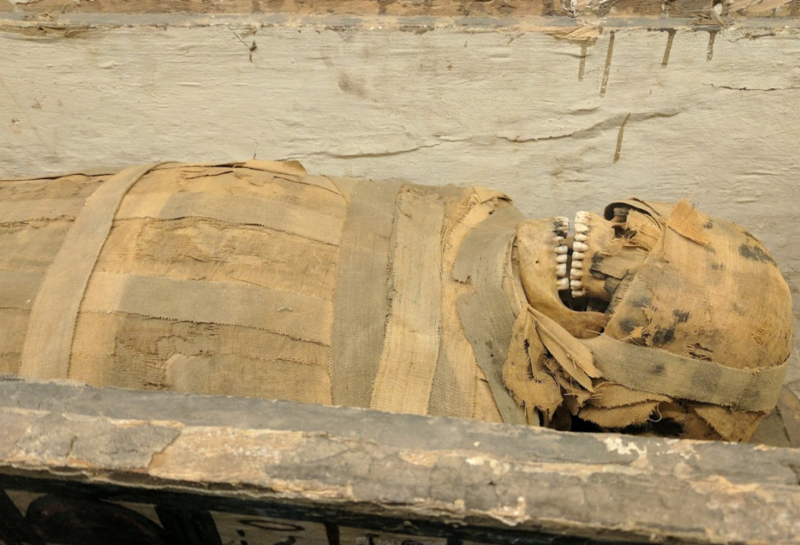 That Egyptian museum is something I would love to do! Then I guess you have a new place to visit next time you’re in San Jose! It was totally unexpected, and if Mr M hadn’t taken me I think that I still wouldn’t know about it! I’ve just been to the Tech Museum and written about it. It. Was. Amazing! What a cool day! I love gardens and seeing them on beautiful days makes them even more incredible. Museums are great too if you are an artsy and historic person! 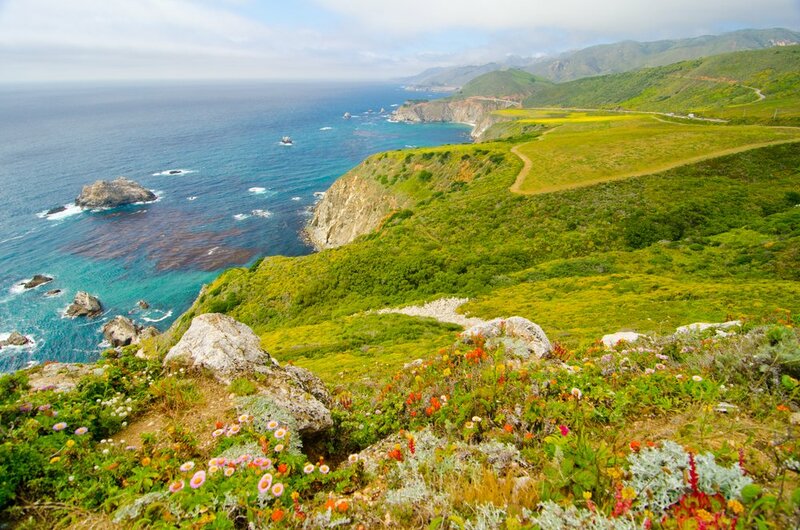 A great mix here of things to do and a great day trip. Thanks for coming to Fly Away Friday! Hope to see you this week! Yeah! I knew other history nerds would be impressed by that! And I was shocked that it existed in San Jose as well, I’d never heard of it before!